This article appeared earlier on ComingNext.TV. As the number of online video platforms is growing, traditional broadcaster are struggling in defining their own VOD strategy. Launching a VOD service creates a ‘direct-to-consumer’ model which conflicts with the power structure in the industry that is based on a close relationship with advertisers on one side and service providers (MVPD’s) on the other. In this blog we take a look at the current VOD and OTT market developments and the strategic implication for broadcasters to launch their own service. Not only broadcasters but pay TV channels, operators, independent producers and OTT services are launching online video platforms that directly compete with eyeballs and media spending. These developments are forcing broadcasters to move faster into the digital space and rethink their model. Rumours are that the FCC in the US is proposing to define online video providers as MVPD’s (multichannel video programming distributor), giving them access to the same content as traditional service providers and allowing new companies to enter the market; “Such a decision could also insure that online video distributors have access to must-have video networks that would allow them to be competitive with traditional video suppliers like cable and satellite.” This ruling would have required broadcasters such as NBC to negotiate with Aereo about the licensing of their content for retransmission. When it becomes easier for innovative digital players to enter the market and syndicate popular content the role of the traditional broadcaster diminishes. And Netflix and Amazon have shown that if they don’t have direct access to broadcast content they successfully produce it themselves. 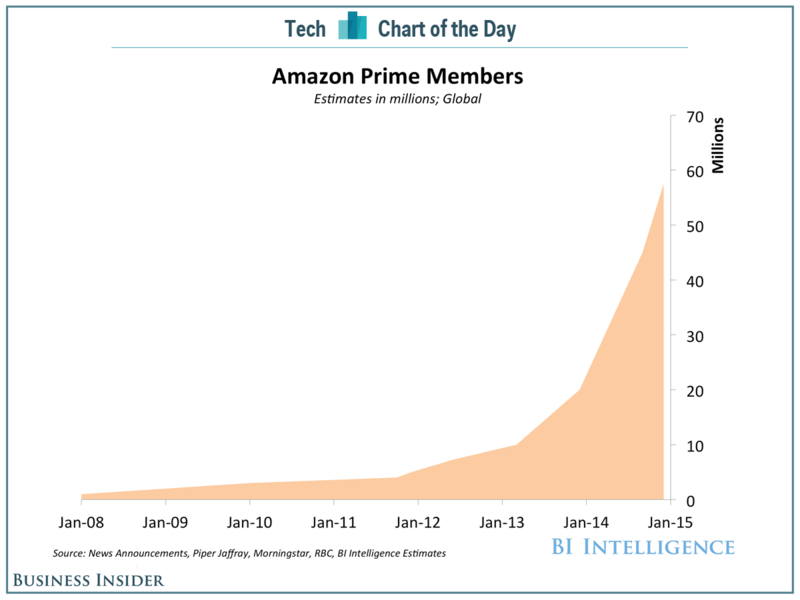 Estimated growth of Amazon Prime subscribers by Business Insider. Over-the-top services like Netflix, Amazon, Wuaki, Hulu and FilmonTV are growing rapidly and are expanding their geographical reach. Netflix wants to be present all around the world before 2020. This won’t be the end of broadcaster television but it demands them to react since not only broadcasters are moving into this space. Premium pay TV channels HBO and Showtime will offer their services directly to consumers in 2015. In Canada the MVPD’s Rogers and Bell Communication recently launched their OTT streaming service Shomi (only for customers at the moment). Bell Media launched Crave TV with the goal ‘to have CraveTV available through all television content providers, including RogersTV’. But even production companies behind popular TV shows are looking for new ways to directly reach the viewer. The talk-variety show Ellen launched EllenTube this year, ‘the video destination for Ellen’. Fans can watch exclusive show content, user submitted videos, celebrity interviews, games, and giveaways on this YouTube like website. An owned video channel that is monetized by Telepictures Productions Inc. and Warner Bros. If we look at worldwide market developments we do see broadcasters that are experimenting with their own platforms. In the UK Sky provides NowTV, an internet television service that provides access to all Sky channels, including sports, and movies for a monthly contract. In Australia Nine Entertainment, owner of the free-to-air channel Nine Network, has launched Stan a SVOD service for premium content. In Holland the two largest commercial media companies RTL and SBS launched an SVOD service together with the public broadcasters NPO. NLziet provides access to all VOD content from their channels with a longer catch up window and additional premium content. A similar but more extensive model was launched in Belgium. Stievie not only provides access to VOD content of the associated channels, but allows user to watch live TV as well. In the US it was CBS that made a bold move by launching an all access subscription service (excluding sports rights). Although the long-term success of these initiatives are to be seen, it show that some broadcasters are looking beyond a simple catch up VOD service by combining forces to increase the potential market size, integrating live TV allowing users to drop their cable subscription (cord-cutting), and offering month-to-month contracts to access premium content. That is ‘if the cable industry doesn’t make strategic missteps’. Looking at the trends every broadcaster should have a detailed strategy how to approach the OTT market and how to offer VOD services for their content. A recent study by Northstream reckons that ‘European telcos are missing out on over €2 billion in potential profits that could come from effectively partnering with Internet players’. The opportunities are present but broadcasters are moving slowly. So how do you approach this relatively new market as a broadcaster? An important strategic decision is if you will create a platform yourself, will you use a third party white label service, or syndicate your content through third party OTT services. Market size, smartphone penetration and the reach of your channel are key metrics to support this decision. You have to define the strengths that you have as a broadcaster over competing OTT services, this can be content such a sports, live events and reality shows, data about your content and viewer behavior, or the close relationship with advertisers. But most importantly are content and syndication rights. Controlling your content or having the rights to distribute it online are defining the relevance and attractiveness of your VOD offering. How will you monetize your content? For VOD you can introduce a subscription service (SVOD) that provides all-access for users for a fixed fee per month or have users to pay for each piece of content (TVOD). Alternatively you can support your platform by (targeted) advertising (AVOD). Online video advertising is developing rapidly with better targeting, better mobile conversion, and growing inventory that is available on programmatic channels. 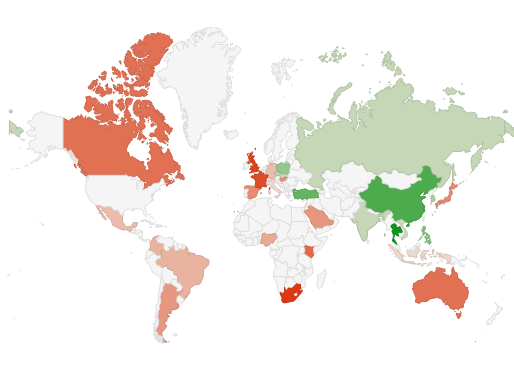 Who can access your content and is this geographically limited? Limitation of reach are often set by content rights but can also be defined by technology or growth strategy. Defining the limits of your reach makes it possible to calculate the market size. What user data will you store and how are you going to use the data to improve your services? Data is becoming more and more important to be competitive with your digital platform. Data can be used to understand user behaviour to improve the service, to target advertising resulting in higher returns, and for validating internal KPI’s. On what operating systems, platforms, and devices will your service be available? Recent research from the UK shows that VOD viewing on TV sets is growing. Providing applications for different platforms can be costly and each platform has its own characteristics when it comes to audiences, monetization opportunities and technical challenges (e.g. with DRM and geo blocking). How will you get your content to the users? High quality recommendations can improve the user experience and retention rate. You can provide recommendation based on cluster analysis of other viewers, on editorial experience, or by implementing third party providers. Answering these questions provides a first strategic framework that can be used to define your project and start the implementation.